Caspian Energy Politics analyses the role of oil and gas in the development of the three main petroleum exporters in the Caspian region - Azerbaijan, Kazakhstan and Turkmenistan - and how energy resources influence interactions with semi-authoritarian Russia and China. Due to volatile commodity prices and competition for the resources in and around the Caspian Sea, the governments of these petroleum-exporters face a series of difficult decisions. These governments have sought to balance short-term incentives to spend oil revenues as a means to maintain power against the need for a long-term strategy for managing these assets, choices which have further implications for how these countries align themselves internationally. 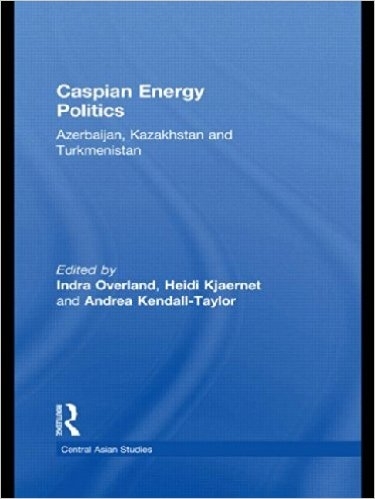 By illuminating important linkages between domestic and international dynamics in these states, the book provides a fresh perspective on energy politics and the impact of petroleum on the development of the Caspian petroleum producers. Expert contributors from Central Asia and the South Caucasus and international scholars provide context-specific insights into the incentives affecting decision-makers that can provide a foundation for strategies to help the countries in the region overcome the negative effects of reliance on oil and gas. As such, the book will be a valuable tool for business actors seeking to understand the role of Chinese and Russian companies in the region, as well as local and international policymakers and non-governmental organisations.